Where Can I Find Cremia? The title says it all. Cremia is a special type of ice cream that I have only seen in Japan. It’s not available everywhere and it costs much more than regular ice cream, but is absolutely worth it. 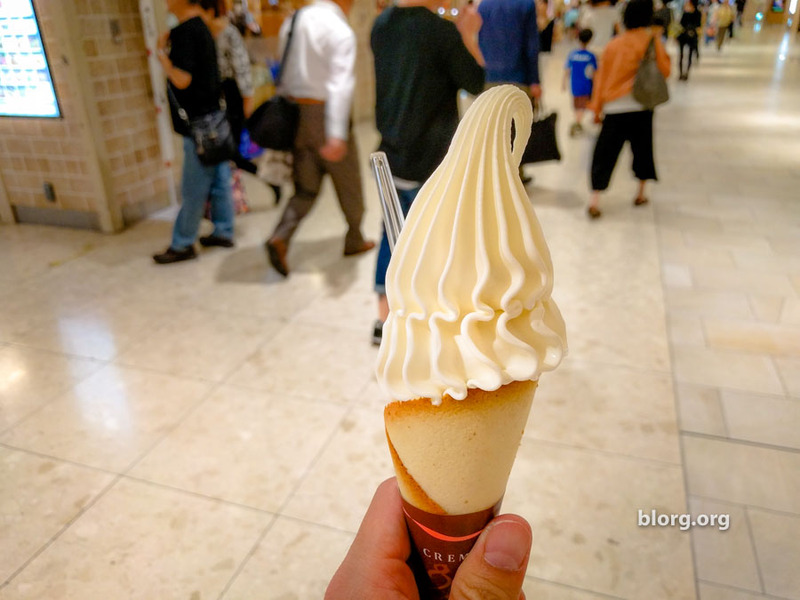 I’ve seen the price range throughout Japan from 500JPY to 650JPY for a basic cone. That is very expensive for ice cream. You can get an average cone from a convenience store for around 100JPY. But this is a “high class sweet.” I’m serious. It taste very refined. Not too sweet and very smooth. Any time I found this giant cone display, it was Cremia time! …or as the locals called it, “CT.” Okay. No one called it that. But they should. It’s sooooo gooood. If you can find horse and whale, you have leveled up to the point of being able to find cremia. Disclaimer: Cremia did not pay me to promote their product. I just want you to go out there and try Cremia. It’s a good excuse to go to Japan if you’ve never been.